The Bible is a love song. Western Christianity has turned the Bible into a dry source of doctrines and judgments, all neatly wrapped up so as to make sense to the boring lives of people who are immune to the immensity of divine imagination and romance. People struggle to understand why there is so much warfare and ugliness in the Bible, not just in the Old Testament but in the New Testament as well. But when you look more closely you see a God who is passionately in love with his people and struggles with their unfaithfulness. So when the Lord God pours out violence upon his people in their calamitous journey of faith and unfaith, you also hear him groaning with anguish and even self-doubt. The language is extremely human, earthy, physical and emotional. That’s because the Bible does not present us an abstract, distant God, “the man upstairs” that we have mockingly reduced him to. No, the biblical God is ever-present in the lives of his people and he experiences their torments as his own. This passionate God is especially visible in what we call the “Old Testament”. I personally don’t like that term because it seems to make that part of the Bible as of less importance to Christians than the so-called “New Testament”. New is always better than Old, right? Not necessarily, as anyone can see about the newness of life in today’s world. There is nothing “old” about the first part of the Bible. It is as new as every word spoken by our Savior Jesus Christ. Indeed, it is the voice of the Lord Jesus that I hear and read every time I open the Psalms and the Prophets, and even many parts of the historical books and the “books of Moses”. in a garden among the hills of Lebanon. “My friend, I fear we shall never, never agree. Kahlil Gibran was born in Lebanon and emigrated to the United States with his parents, but never left behind the earthy soul of the Middle East – that same earthy soul that formed the humanity of our Lord. There is something deeply monophysitic about how most Christian churches view and represent Christ. And so when we come to something like the Song of Songs we turn it into an allegory – a dry, passionless allegory. That’s what the Christian tradition did with this beautiful poem right smack in the middle of the Bible, from which our verse today is taken. The Song of Songs is a love song. Most English translations call it the Song of Solomon – but the old Greek translation of the scriptures correctly calls it ΑΣΜΑ ᾀσμάτων. It is a dialogue between a man and his beloved. It is passionate, earthy and physical – much as God is represented in those “old” scriptures. But that does not make it an allegory. It is a love poem that the Hebrew editors of the Bible decided belongs as scripture – much as they also chose Ecclesiastes as scripture, even though it is hardly the most “orthodox” book of the Bible. 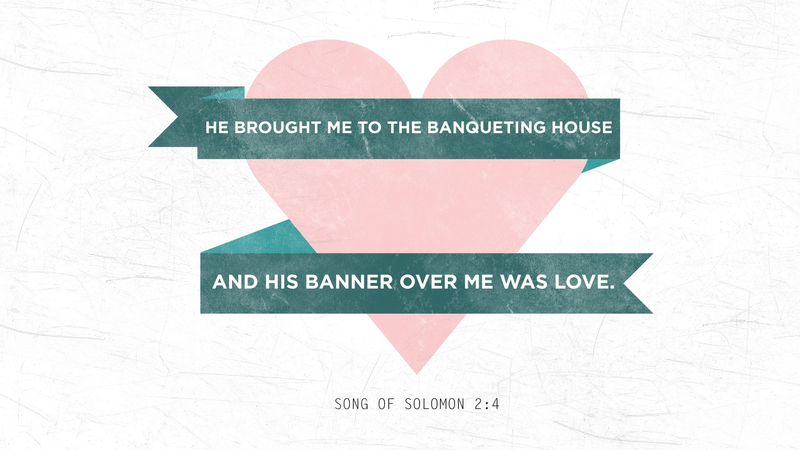 The Song of Solomon is not an allegory of Christ and the Church, as Christian tradition has treated it. But the Jesus we encounter in the Gospels is indeed passionate and earthy. He did not wear a crown when he walked the hills and deserts of Judea; nor was he richly robed as we show him in our icons. He probably wore a plain white tunic – much as men still wear in the poorer regions of the Middle East and central Asia – and walked barefoot most of the time. He was a poor man among poor men and women. He embraced sinners and invited himself to dinner wherever he could. He did not wear his deity mightily. As Saint Paul told us, “he emptied himself” (Philippians 2:7). In this great passage in Philippians, Paul tells us that it is precisely because “he emptied himself” that he is our Lord and Savior! It is precisely because he became earthy and barefoot that he is our Lord and Savior. And Kahlil Gibran tells us that we are far from that Jesus of Nazareth. So don’t turn Jesus into “the man upstairs” – he is among us: not as an allegory, but as the way, the truth and the life. It is time to rediscover the earthiness of the Bible, in all its gut-wrenching passions, love imagery, and even its violence. It is not a Hellenistic book of philosophy, nor a dispassionate book of ascetic nonsense. It is full of real humans and a real God who shares their lives. It is full of war and human hatreds, but also of human and divine love, and a lot of eating and drinking. So in our verse today, the lover takes his beloved to the “banqueting house”, in the usual English translations. The Hebrew text says beth hayyayin, meaning “the house of wine”! Even the old Greek translation of the scriptures, the so-called Septuagint, correctly translated it as οἶκον τοῦ οἴνου. Is it because teetotal Anglo-Saxons want to avoid all talk of wine, just as they turn the wine of communion into grape juice? But it was wine that Jesus drank; and it was with images of food and drink that he spoke parables of heaven and the kingdom of God. He was speaking biblical language, the earthy language of his people. And there was nothing ascetic in the language of Jesus. So don’t turn away from the Bible because you find some of its language unacceptable. And don’t turn the “unacceptable” parts of the Bible into allegories. If you want to get your feet wet in the earthy language of the Bible, the Song of Songs is as good a place to start as any. As are the prophets, as are the Psalms, as are the historical books. But why not start with a love song? That’s what the Song of Songs is, and everybody loves a good love song. Categories: Bible Reflections | Tags: Kahlil Gibran, Song of Songs | Permalink.